Today I slept in. That doesn’t happen very often. Everyone was very tired today. 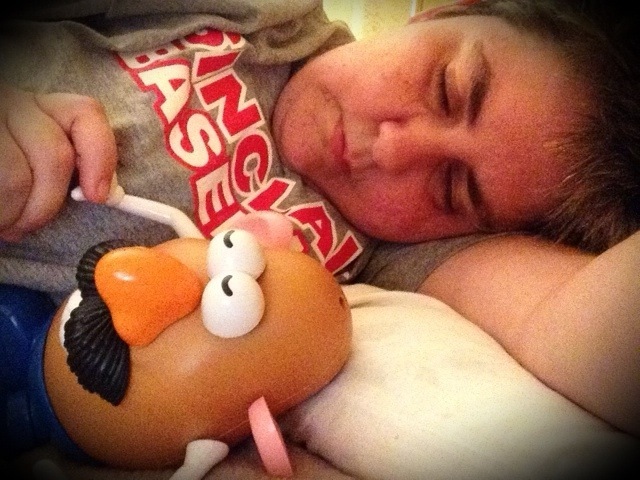 I even got a nap with ohiophotogrl. 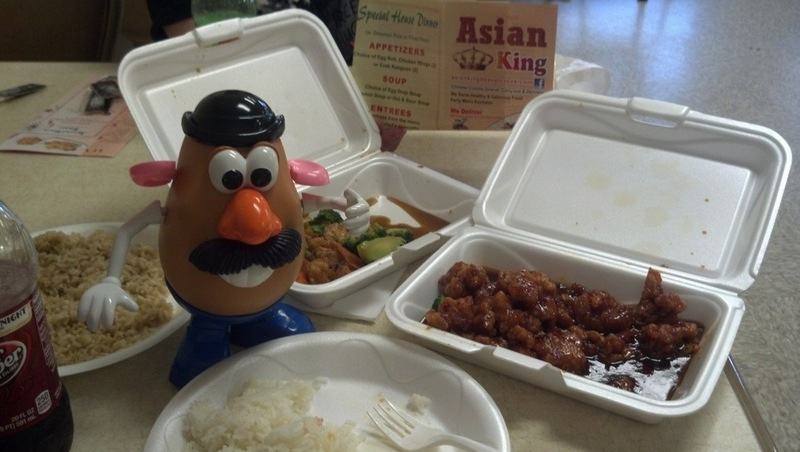 Then we headed out to a new Chinese restaurant. The General Tso’s chicken was fabulous. We will be having the Asian King again. It was a great day. 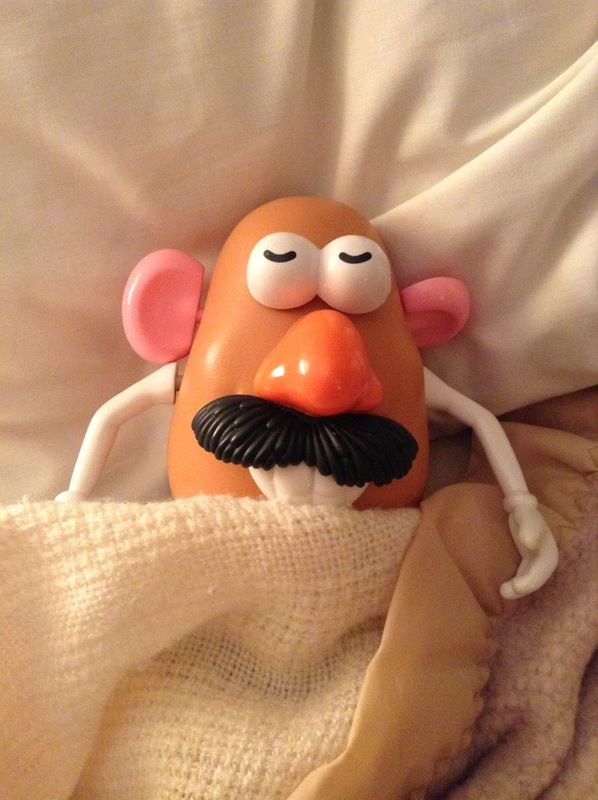 The best part was knowing that the last year I have been loved and respected for the great potato that I am! Wonder what were going to do tomorrow? This entry was tagged 365, adoption, blog, fun, laugh, Mr. Potato Head, muse, picture a day. Bookmark the permalink. Here is to another fun year my little friend!